Exercising and keeping fit makes you feel better, happier and healthier. The benefits of suitable exercise are many and well-known, but finding something to motivate you to make the effort in the first place can be hard. It’s so much easier to sit in front of the TV or play a video game than it is to get your running gear on and go for a jog, or slog it out at the gym three times a week. If you want to get fit but struggle with motivation, how about trying some sports and games that you can enjoy playing but that get you fit at the same time. Playing a game with other people can be a great way to motivate you and keep you going, and racquet sports require an opponent and/or a team to play. 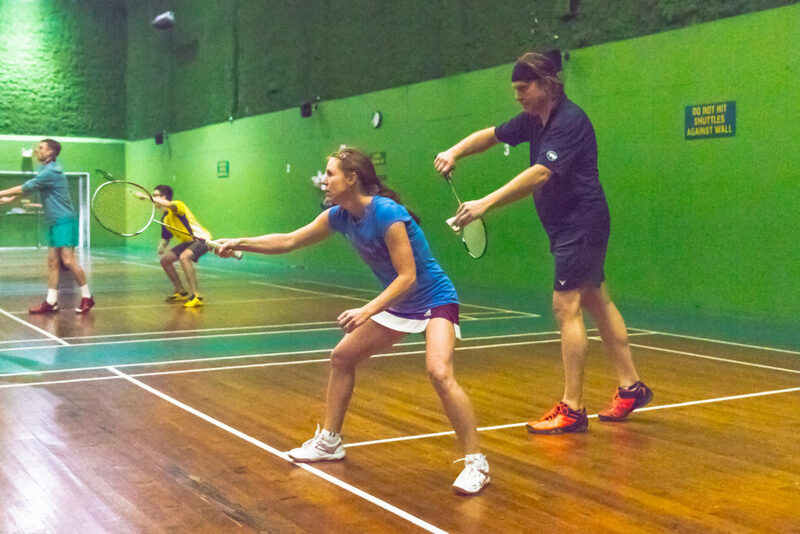 Squash is an awesome calorie burner, but being high-intensity you do need to be fit and well before playing it. Tennis can be pretty demanding as well, so if you are very unfit start with a gentler sport like badminton or pickleball. If you’re not familiar with pickleball, find out about this sport, which is a combination of tennis, badminton and table tennis from expert sites like Best Pickleballpaddle reviews. Find a playing partner and/or opponent for your racquet sport of choice, and you will motivate each other. If you can’t find anyone to play with, contact your local club to see if they can help. It may sound like a gentle sport without too much strenuous exercise involve, but golf can be a good way of keeping fit. You will walk a good few miles around a golf course – even further if your ball keeps landing in the rough or going out of bounds! Add to this the twisting when playing a shot, the power you need to push through the ball to get some distance on it, and the effort of carrying a loaded golf bag, and you can get quite a workout. The good thing about golf is that as you get older or less able to manage strenuous exercise, you can adapt your routine to make use of golf carts and powered golf trollies, so you can still get some exercise and fresh air but at a more appropriate level. A marriage of snowboarding and skateboarding, mountain boards have extremely robust construction and come with brakes, suspension and off-road tires. You’ll get plenty of exercise walking up hills pulling your board along and riding downhill through beautiful countryside is so exhilarating you won’t care about the walking. Riding a board takes considerable balancing skills, which will work your core and stretch many muscles that you don’t normally use. You can go boarding with friends or join a club, so you can share the experience, board safely and as you get more confident, start having some races. Sport comes in many diverse forms, and they all have a degree of physical effort involved that can be a substitute for more formal training. If you are getting stale in the gym, or just want to try something different, find a sport that appeals to you and give it a go.